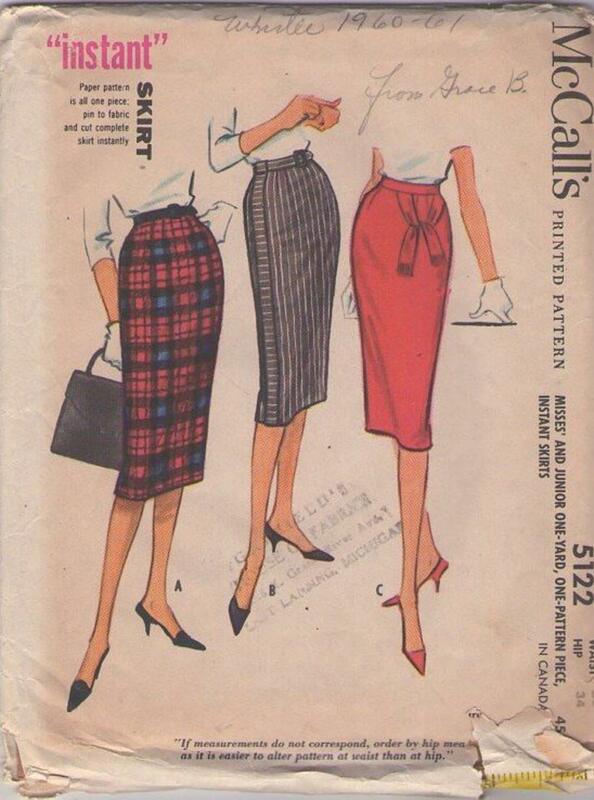 1959, 50s Beginners, Retro One Yard Clothing Patterns - One gore skirt with seam and zipper closing at center back. Top or skirt is dart fitted at front, sides and back. 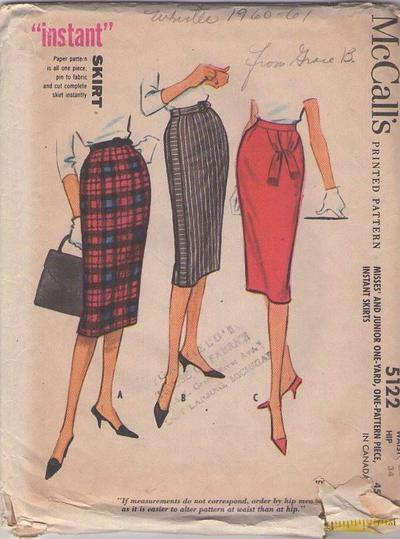 Striped skirt has applied band at either side with loop at top which serves as belt carrier. Monotone skirt has fringed tie ends included in waistband sea, looped and tucked to left front of skirt. Unique and just FABULOUS!